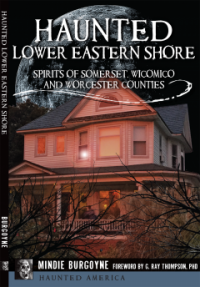 View cart “Haunted Eastern Shore book” has been added to your cart. Choose two books from the four pictured written by Mindie Burgoyne and signed by her personally. 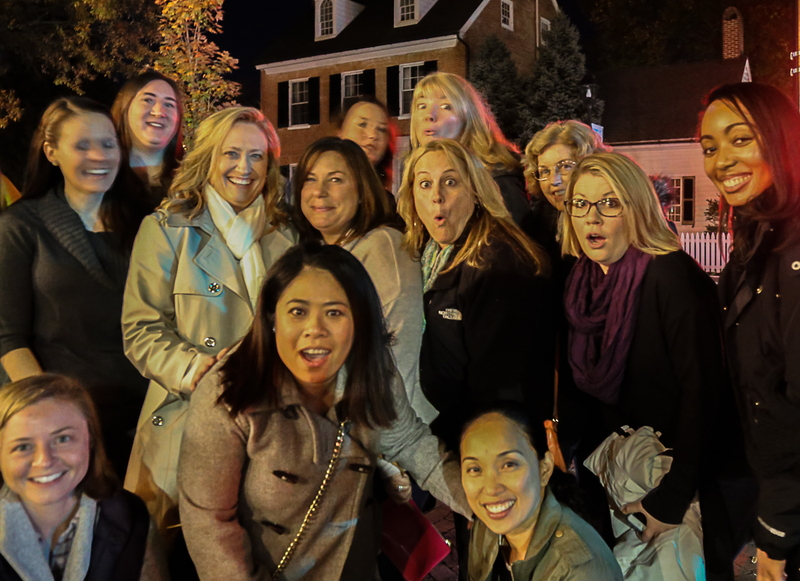 Choose from The Haunted Eastern Shore, The Haunted Mid-Shore, the Haunted Lower Eastern Shore and Haunted Ocean City and Berlin. 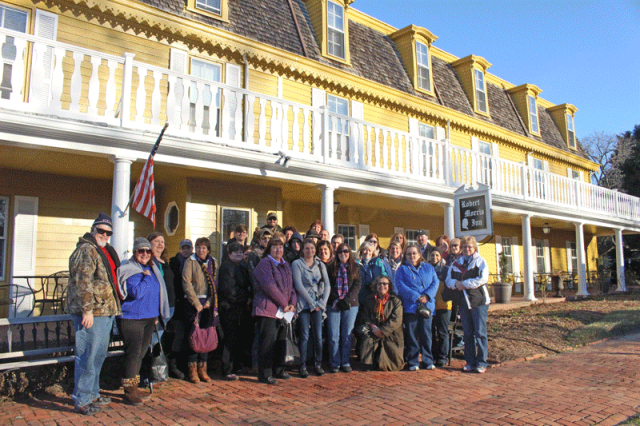 Together two books will feature approximately 40 stories of ghosts and hauntings on Maryland’s Eastern Shore. 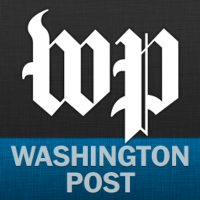 We will drop ship to a third party address. NOTE: Please indicate which two books you want in the comment section of the order. 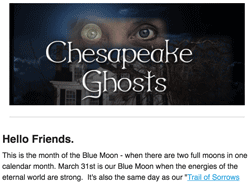 The Haunted Lower Eastern Shore: Spirits of Somerset, Wicomico and Worcester Counties. 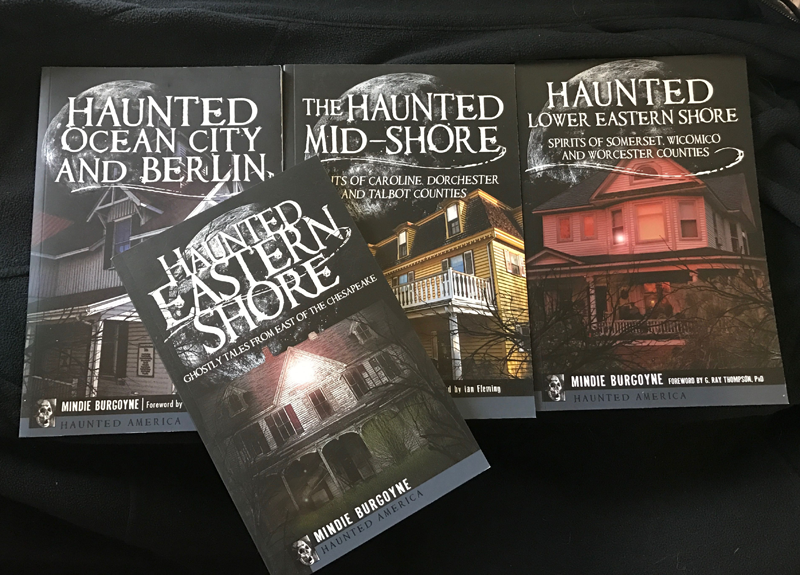 Each book will be both signed by author, Mindie Burgoyne, owner of Chesapeake Ghost Walks and the person who crafted all of the tours. 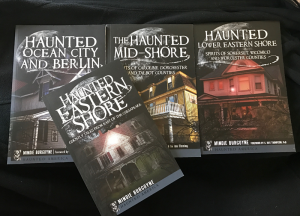 Together these books feature 45 stories of ghosts and hauntings on Maryland’s Eastern Shore. 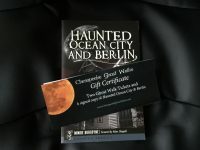 Popular stories include the Child Spirit at the Atlantic Hotel in Berlin, Trimper’s Menagerie Carousel, Berlin’s Walking Dead, The Underground Railroad at Linchester Mill, The Witches of Plain Dealing, The Severn Gates of Hell, Mary’s Ghost at Old Salty’s and a personal recounting by author, Mindie Burgoyne of her own scary stay at the Robert Morris Inn (featured on the Mid-Shore cover). 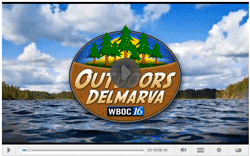 This set is an excellent gift for anyone who has an interest in the Eastern Shore’s history and loves a good story. 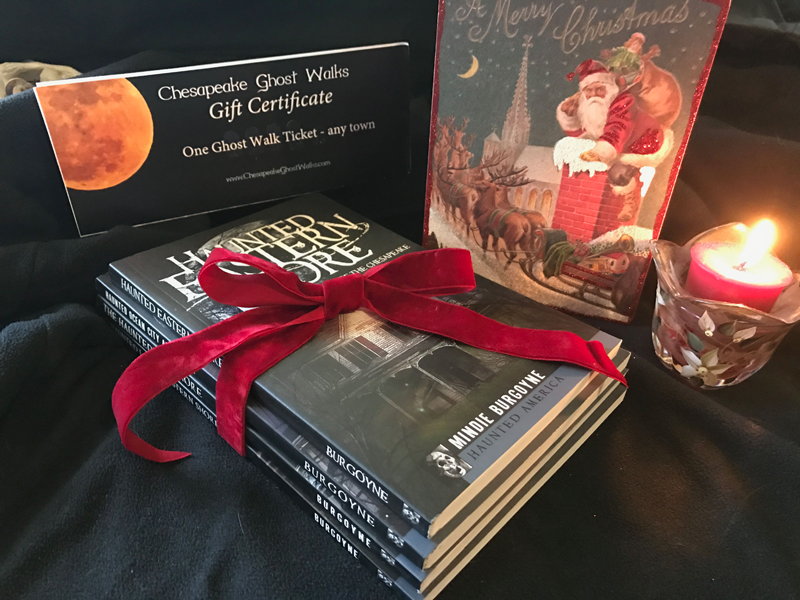 The books are laid out so that the reader can venture out – book in hand – and see some of these historic and haunted sites up close. Both books will be signed by the author and personalized if requested. Simply type your the name of the person to receive the book in the NOTES section of the order and include which two books you want.